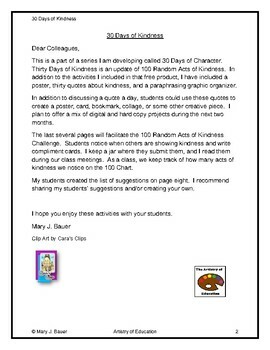 This is an updated version of 100 Random Acts of Kindness. 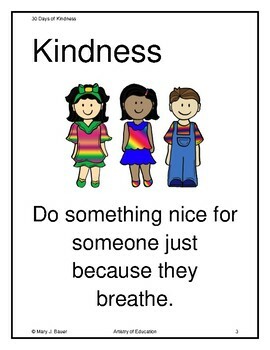 It is still free. 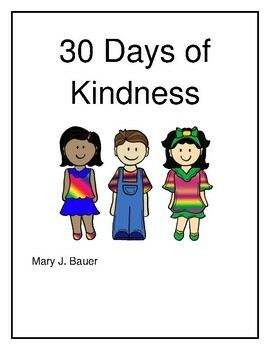 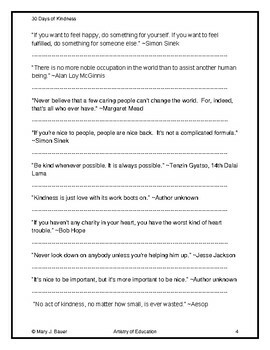 Thirty Days of Kindness contains a poster, thirty quotes, a paraphrasing activity, and compliment cards for students to notice other students' acts of kindness.